Among the serial data interfaces -- SPI, Flex I2C, and many more -- available for electronic equipment, two stand out for their longevity. In spite of the dozens of new kids on the block, RS232 and RS485 remain popular. 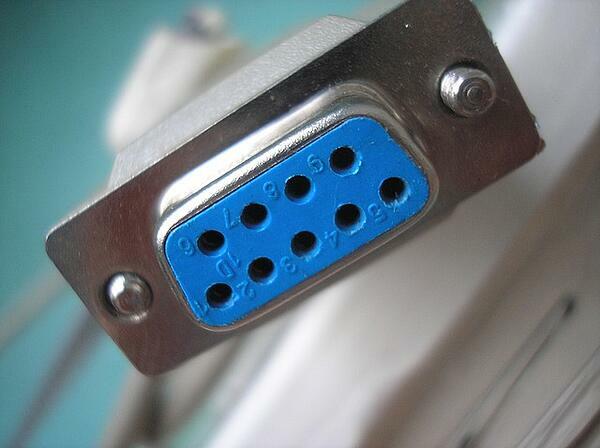 RS232 is falling out of favor a bit and is seeing use in fewer and fewer brand-new designs. USB is pretty much replacing 232 for short-haul (distance) PC peripherals, even though it takes a bit more microprocessor horsepower. RS232 is now officially known as EIA/TIA-232-F. EIA/TIA stands for Electronic Industries Association/Telecommunications Industries Association, and the “F” indicates the latest update. RS485 is now TIA-485. To keep up with the times, we’ll continue to call them TIA-232 and TIA-485 from here on out. Another option, RS422, is also worth a mention. A predecessor to TIA-485, RS422 lacks a feature that allows data to be sent over a single pair of wires. Because a TIA-485 interface that’s not using this feature is compatible with RS422, it’s frequently called RS422/RS485. However, RS422 can provide full duplex data. RS422 uses the same electrical characteristics, but has the ability to transmit and receive at the same time. RS485 is single duplex since it can only listen or transmit on the same lines. The maximum distance between transmitter and receiver for TIA-232 is about 50 ft., although the length can be extended considerably if data rates are low. For TIA-485, the distance of operation is significantly longer -- up to 4,000 ft. Equipment meant to operate at a distance from a transmitter will most likely require a TIA-485 serial interface. Keep in mind that RS85/422 is multidrop, while RS232 is only point to point. A TIA-232 serial interface is for connecting two devices. There’s one transmitter (driver) and one receiver. With a TIA-485 interface, one device is able to control 32 other devices or more. It’s important to note that TIA-232 and TIA-485 are not fixed. For example, the USB interface is often used on newer equipment. Sometimes, however, making different kinds of equipment or older and newer devices work together requires conversion from USB to TIA-232 or TIA-485 or TIA 485 or TIA-232 to USB. It might also be necessary to convert TIA-232 to TIA-485, or the reverse. Converters for these purposes are readily available. TIA-232 is a voltage level-based system that functions well when differences in ground reference potential are minimal. But in electrically noisy industrial machines or on equipment in locations with different potential levels, TIA-232 can prove too fragile and allow data corruption. TIA-485, by contrast, demonstrates higher levels of noise immunity. Its differential voltage system is more suitable to industrial applications because it provides common mode noise immunity. The differential operation also accounts for the longer data transfer distance and the lower voltage use, which also helps increase data speed. For short distances and low data speed requirements, a TIA-232 serial interface is more than adequate. It transfers data at 1 Mbps to 50 ft. maximum. However, to 50 ft., a TIA-485 interface can transmit data at a rate of 10 Mbps. At the maximum distance of 4,000 feet, TIA-485 transmits at 100 kbps. If your need is for low data speed over a short distance, TIA-232 will most likely serve the purpose, although it’s becoming a bit antiquated. If the requirements call for faster data transfer over a longer distance, TIA-484 will probably work. It’s also possible to enhance the serial interfaces’ performance with available standard parts. In short, it looks like TIA-232 and TIA-485 serial data interfaces aren’t 1-hit wonders and will be around for a while. An electronics contract manufacturer will have ideas on how to put them to their best use, so keep your lines of communication open early in the manufacturing process.